Today, an examination of a phenomenon that's recently come out into the open: the right-wing's worship, and hard-line defense of, the ultra-wealthy. You'll hear the who, what, when, where and why. I have some exclusive stats for you that may well blow your mind. The picture ain't pretty. You'll hear the answers to questions like these: which 25 guys made more than all the teachers, firemen and policemen in New York City? What wonderful things did these 25 guys do to earn all that money? And what kind of terrible tax burden are these 25 guys being subject to? 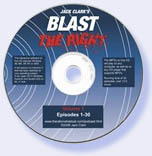 Scheduling note: episodes of Blast The Right will be posted every three weeks. I've never listen to your show before, but someone posted a link to it over on the podcast site a regularly listen to Common Sense (www.dancarlin.com, but don't take it out on him, I'm not affiliated with the show, that's just where I post on political stuff)... and sorry but I felt that it left something to be desired. I'm not a fan of hedge fund managers generally. I find many times the most important quality is political capital... which I find beneath contempt... but I will never be swayed by an argument from wealth envy. "But mom... look have many video games jimmy has." Grow up. Your assessment that "Hedge Fund Managers create nothing of value." I don't see how its possible to make that assessment. Its like saying a salesman doesn't add any value to the market. 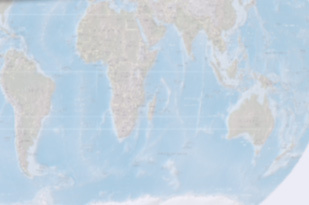 He coordinates the wants and needs of people with the goods and services to satisfy them. In the absence of such a person, the people and the goods may not be connected and as such there is a loss to the system by a lack of a salesman. The efficiency at which capital is allocated, the job of the manager, is a value. Its just impossible to calculate. And in show 166... your explanation on the connection between wealth and jobs had so many holes in it... its ok, its a complicated issue, but I couldn't stand the arrogance in which you explained your part of the theory, and incorrectness with which he denounced another aspect of job creation. Not that I have a problem with going after tax cheats (assuming their don't want new powers to do things that I disagree with) but I can easily make the case that dodging taxes creates jobs. If you'd like me to call or skype this just let me know. You claim that hedge fund managers add nothing of value to the market. Your explanation on the connection between wealth and jobs had so many holes in it... its ok, its a complicated issue, but I couldn't stand the arrogance in which you explained your part of the theory, and incorrectness with which you denounced another aspect of job creation. I just listened to a very good podcast exposing the racist code language used by the Tea Party types and the people who worship "the Reagan". I think that when people call themselves paleo-Conservatives or Goldwater-Conservatives, they need to understand that they are identifying with the American white Aristocracy in this country. Those aristocrats in the '80's and '90's made deals with white supremacists and religious fundamentalists, because they believed that they could use those people to vote for policy which is good for the aristocrats but not necessarily good for those people. Most of this Tea Party stuff is "blowback" from that decision. I believe this is similar to the blowback that came from supporting the Taliban against the Soviets in Afghanistan. Nick, I believe you are perhaps a bit fuzzy on what has been found to cause the recent financial crisis. The clearest explanations I've heard were produced by the NPR show "This American Life". 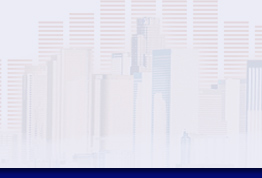 In regards hedge-funds, I would suggest that you listen to episode 405. Be prepared for information you have heard nowhere else.